As I listened to more presentations about how we could improve our urban wellbeing, the more I felt myself as an alien in this world. 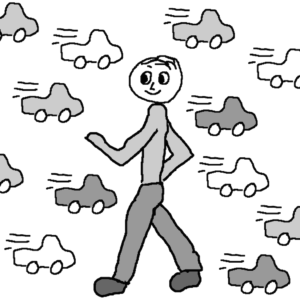 When the world believes in a future of self-driving cars, I dream of a future of self-walking humans. When the world is excited about installing sensors for smart parking, I think of walking as the smartest parking solution. When the world starts debating technology as humanity’s savior, I go for a walk in the park.